Big, Beautiful Botanical Butterfly Scrapbook Class with kit to go option! Every year I try to fit in a few big scrapbook classes and I'm so proud of this one! The Botanical Butterfly designer paper in the Sale-a-Bration catalog is gorgeous and my layouts turned out amazing! I have a limited number of these kits available so if you're interested RSVP as soon as possible to get yours. The local class is on Saturday, February 23rd at 10 am. You'll make 10 double 12 X 12" layouts and all you need to bring is adhesive. I'll have everything cut out except a few punches and of course the stamping. The cost is $38 class fee for locals. If you are long distance add on $15 for shipping (12" boxes cost more). There is also a tutorial only option. See the PayPal button below for payment. Here are a few of the pretty double layouts included. RSVP by February 19th to get your spot at class or a kit to go. Kit to go or tutorial only option available below. Look! Santa's Workshop Memories & More Scrapbook pages!! 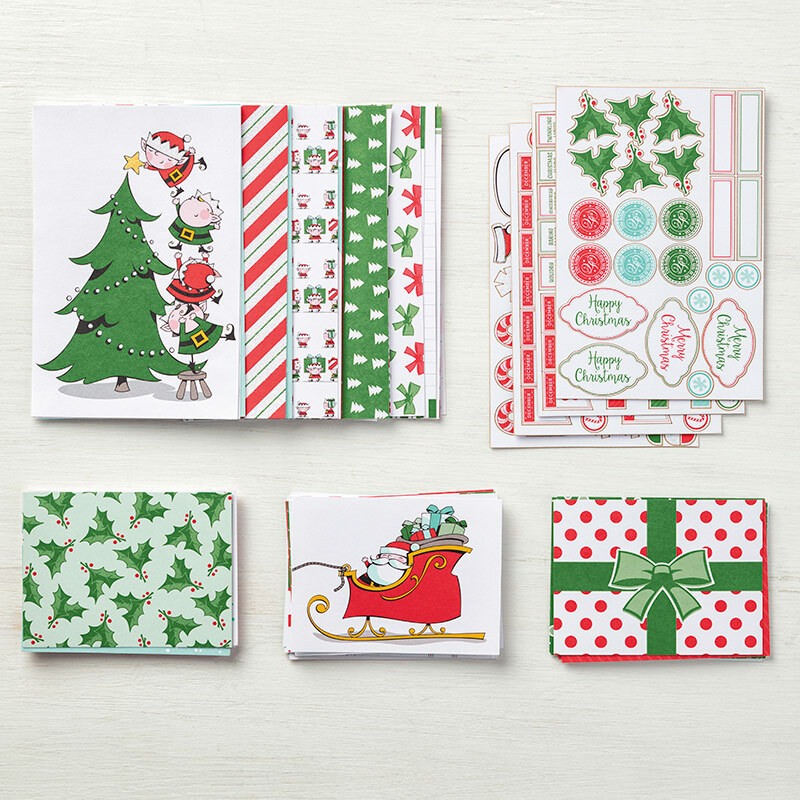 I put these adorable pages together from our Santa's Workshop Memories & More card pack. They came together so beautifully and I didn't stamp one single thing! It's all pre-printed on the cards. This card pack is on page 21 of our Holiday catalog and you get 50 double sided cards and 4 sticker sheets for just $10 all ready to go! It was out of stock until this week; so get yours ASAP before they're gone again! They're perfect for both scrapbooking and card making! I'll share a few cards with you tomorrow. I used our 12 X 12" Santa's Workshop card stock pack. It comes in both Poppy Parade seen above and Garden Green below. You get 12 of each color! I did add some White, Black and Coastal Cabana card stock layers, a bit of the Poppy Parade ribbon and a few of the Santa's Workshop Enamel Shapes that coordinate so beautifully with these products. The cute stickers are from the cards package! Stay tuned for more Santa's Workshop items tomorrow! You can see these items below in my online store. with a $50 minimum online order placed by October 27th. I loved January's Paper Pumpkin kit! It was just FULL of beautiful copper and vellum accents. I'm still working on my bonus projects for my current subscribers but here's a peek at one of them. A beautiful scrapbook layout I created using many pieces in the kit. February's kits are already on their way but if you want to get in on March's 5th Anniversary kit be sure to subscribe before March 10th. They're including an extra special gift in this year's anniversary box. Don't miss out and regret it. 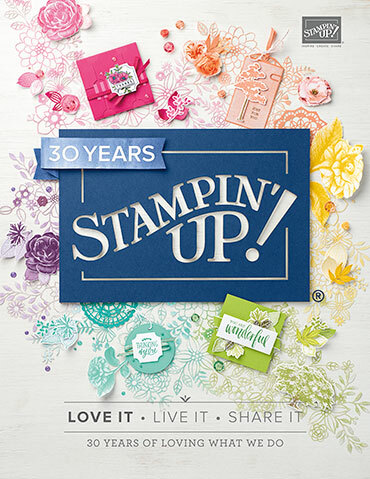 Last year we received an additional BIG stamp set! And if you order a 3, 6 or 1 year subscription you can pick out 2-4 FREE Sale-a-Bration choices! Now that's a good deal! And from me you'll receive extra bonus project ideas for each month's kit! My friend Melissa made these two projects for our October share challenge. I love how she used the Memories & More card pack on both a card and a scrapbook page! She used one of the cards as her main greeting along with the Petal Gardens designer paper. What an easy yet gorgeous card to make! I also love her double bow that coordinates wonderfully. It's our 1/8" sheer ribbon that coordinates with the Petal Garden Suite. See most of it on page 57 of the main catalog and the Memories & More on page 192. Now look at this beautiful scrapbook page of her sweet daughter. She fussy cut a few of the roses from the Petal Garden designer paper stack and added them to the page. It's so striking! One of my favorite parts is the title; it's just perfect here! Falling in Love Scrapbook Layouts! I made a bunch of gorgeous scrapbook pages using my Scrapbook Wonder and the Falling in Love Designer Series Paper. They are soooo pretty! This photo doesn't do them justice! This designer paper is so amazing; it has soft, lovely colors and almost a photo-like quality to many of the papers. I am offering this class to my local gals on Saturday, February 18th at 1 pm. I need an RSVP by this Saturday, February 11th. They'll make twenty 12 X 12 layouts at class. The class fee is $35 and includes the free tutorial so they can make more pages with different Designer Papers anytime. Go here to read more about my Scrapbook Wonder tutorial as I am not offering a kit to go this time. Do you struggle to get your scrapbook pages done? If you cannot find the time or the inspiration to create them I think I have the solution for you. In fact I'm positive! I created the Scrapbook Wonder templates to make it fast and easy to get a pile of pages done quickly. I chose 6 sheets of Designer Paper and cut them up into strips and squares to use on the pages and created templates so anyone can do the same thing! Here are the latest group of pages using the It's My Party Designer Series Paper. About half of the pages are birthday themed but the rest are just fun or celebration themed. Aren't they great!? I started with Black and White base pages and added layers of card stock that coordinated with the colors in the DSP. 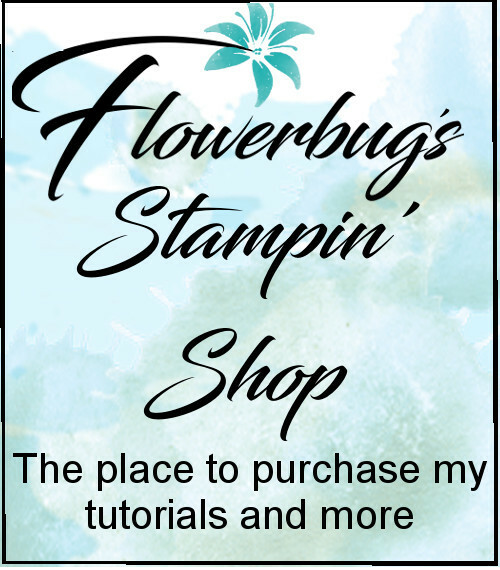 I used an assortment of current Stampin' Up! stamps to complete them. It's super easy! My local class is on Friday, April 29th at 5 pm or Saturday, April 30th at 10 am and costs $35. RSVP by April 18th to attend. Or you can just purchase the tutorial which has two versions of pages for $10. The tutorial includes the 6 templates, step by step instructions, photos, supply lists and measurements for both groups of layouts. You can see that here on my tutorial shop.